This lovely golden creature was a regular at our old library – now bulldozed to make way for a new one scheduled to open late 2012. 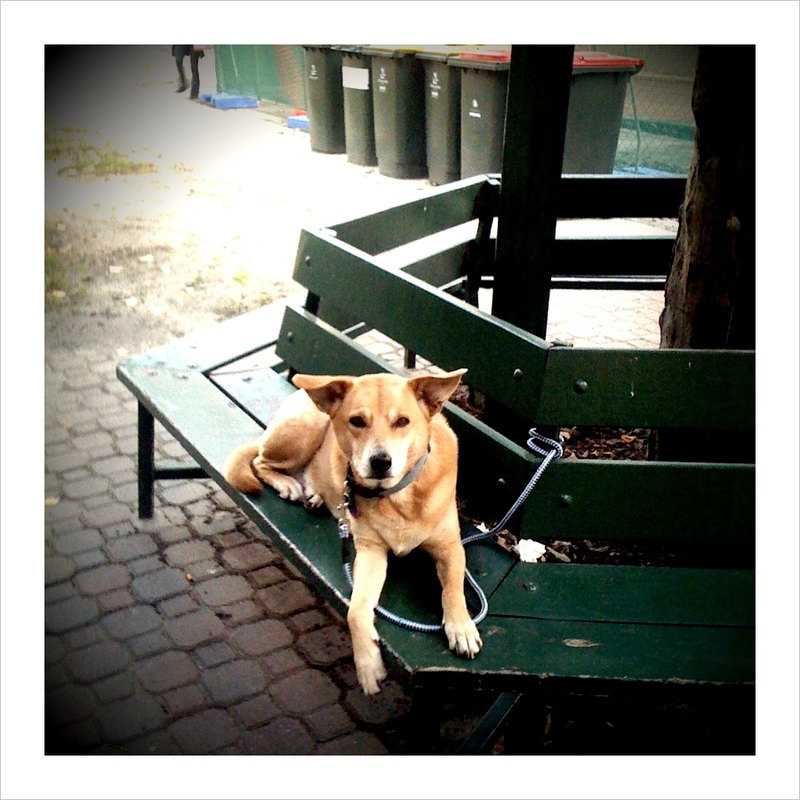 I liked how this dingo-like dog would take a seat in a very casual way rather than wait on the ground for its owner to emerge loaded up with a week worth of books to keep busy with. I reckon it’d be a couch dog for sure. Click to make bigger. More Dogs In Waiting here.